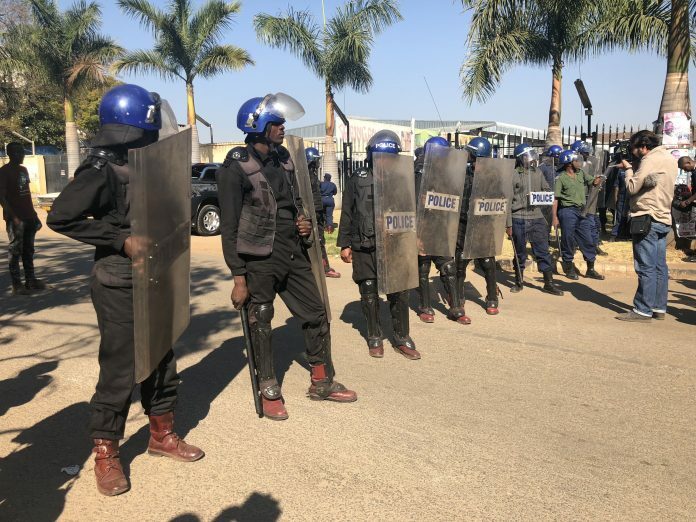 Harare – The cash-strapped Zimbabwe government will, from this month, implement serious economic reforms aimed at cutting the wage bill by reducing the Zimbabwe Republic Police workforce from 50 000 to 35 000 officers, the Mail and Telegraph has heard. Police sources said plans are underway to retire all the officers who are 50 years and above beginning this month end. “People will soon receive what the officers are calling love letters from Commissioner General Godwin Matanga,” the source said. “The love letters are notices of retirement for those who have 50 years and above. ZRP has been instructed to reduce its workforce from 50 000 to 35 000,” said the source. Finance minister Mthuli Ncube, in his Transitional Stabilisation Programme report said government should cut its wage bill by $200 million next year and by another $130 million in 2020. The civil service wage bill currently consumes 90 % of government expenditure leaving only 10% to develop the infrastructure that the country badly needs to attract investors and to develop the country into a middle income economy by 2030. This year’s wage bill is expected be about $4,5 billion against a budgeted $3,3 billion. Source said the first phase will be to retire all those with 50 years and above then move to the second stage where officers who have served for 20 years will be asked to retire. In January government retired several senior officers and later reversed the move after lack of political will to shake up the police force days after the military intervention that led to the retirement of former president Robert Mugabe.